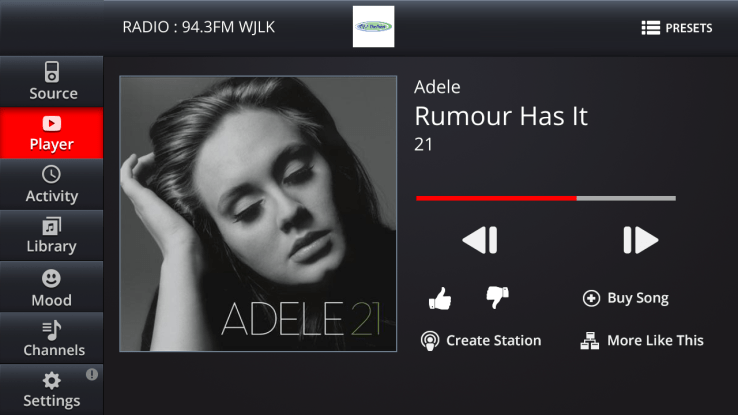 Gracenote announced a new feature for its automotive platform that will let automakers set a common interface for music coming from any audio source. Once upon a time, you had just two choices on your car stereo: AM or FM. Over the years, however, car owners have become used to a wide variety of different inputs for listening to music while on the go. Things are constantly changing and evolving. Music metadata company Gracenote is launching a new platform today that will allow drivers to manage various sources of music from a car’s dashboard entertainment unit. The platform, called Entourage Radio, is essentially trying to abolish the old school radio dial and replace it with a much more cohesive music experience. The company said Entourage will weave various forms of radio, streaming music services, and digital music together so that you’re not constantly playing around with multiple interfaces to get the tunes you want.Even though we have come a long way with technology, listening to radio has never got old. People still listen to it and if you are looking to find some intresting channels on the radio you can check out CB Radio Guru. Using Gracenote’s metadata, Entourage will identify songs played from your car as well as the source (AM/FM radio, online services, satellite radio). You’ll also be able to see things like a song’s album, cover art, and more. And once you’ve identified a song, the platform can make recommendations for similar music. This is something Gracenote has done before, having already launched a white label smart radio service called Rhythm back in January. The company said Entourage will also allow automakers to create a custom UI to fit their vehicles. The platform itself, however, will debut in 2017 model cars, Gracenote said.